According to Joel Whitburn, the American trade publication Billboard introduced the Hot 100 on August 4, 1958. This was the first chart in the US to "fully integrate the hottest-selling and most-played pop singles." From 1958 until 1991, Billboard compiled the chart from playlists reported by radio stations, and surveys of retail sales outlets. Before 1958, several charts were published, including "Best Sellers in Stores", "Most Played by Jockeys" (later revived under the name Hot 100 Airplay), and "Most Played in Juke Boxes", and, in later collations of chart hits, the record's highest placing in any of those charts was usually reported. On November 30, 1991, Billboard introduced a new method of determining the Hot 100, "by a combination of actual radio airplay monitored electronically by Nielsen Broadcast Data Systems (BDS), additional playlists from small-market stations, and actual point-of-sale information provided by Nielsen SoundScan." Until 1998, any songs placed on the chart had to be physically available as a single. The Hot 100 continues to be published. Joel Carver Whitburn is an American author and music historian. 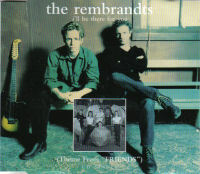 "I'll Be There for You" is a song recorded by the American duo The Rembrandts. It is best known as the theme song to the American sitcom Friends, which premiered in September 1994 and ended in May 2004. The song was also released as the first single from the group's third studio album LP, reaching the top 10 in Australia, New Zealand, and Norway, as well as in Ireland and the United Kingdom in both 1995 and 1997. In Canada, the song reached number one for five weeks and was the highest-selling single of 1995, while in the United States, the song reached number 17 on the Billboard Hot 100 and topped the Billboard Hot 100 Airplay chart for eight weeks. 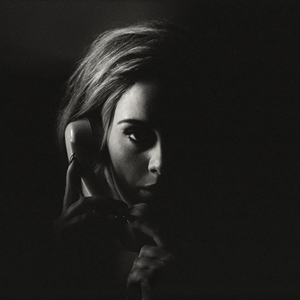 Bubbling Under Hot 100 Singles is a chart published weekly by Billboard magazine in the United States. The chart lists the top songs that have not yet charted on the main Billboard Hot 100. Chart rankings are based on radio airplay, sales and streams. In its initial years, the chart listed 15 positions, but expanded to as many as 36 during the 1960s, particularly during years when over 700 singles made the Billboard Hot 100 chart. From 1974 to 1985, the chart consisted of 10 positions; since 1992, the Bubbling Under Hot 100 Singles chart has listed 25 positions. The Adult Contemporary chart is published weekly by Billboard magazine and lists the most popular songs on adult contemporary radio stations in the United States. The chart is compiled based on airplay data submitted to Billboard by stations that are members of the Adult Contemporary radio panel. The chart debuted in Billboard magazine on July 17, 1961. Over the years, the chart has gone under a series of name changes, being called Easy Listening(1961–1962; 1965–1979), Middle-Road Singles(1962–1964), Pop-Standard Singles(1964–1965), Hot Adult Contemporary Tracks(1979–1982) and Adult Contemporary(1983–present). A hit song, also known as a hit record or hit single, is a recorded song or instrumental that becomes broadly popular or well-known. Although hit song means any widely played or big-selling song, the specific term hit record usually refers to a single that has appeared in an official music chart through repeated radio airplay or significant commercial sales. "Party for Two" is a song recorded by the Canadian singer Shania Twain for her Greatest Hits album (2004) and released as the album's lead single. 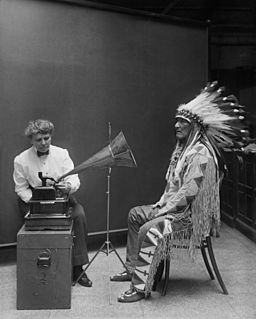 The song was written by Mutt Lange and Twain. "Party for Two" was recorded as both a pop mix with Mark McGrath and as a country version with Billy Currington. The song was released to the country, adult contemporary, and mainstream pop radio formats, as well as European and other international markets. Its first release date was September 7, 2004. The discography of Weezer, an American rock band, consists of 13 studio albums, two compilation albums, one video album, six extended plays, 28 singles and 25 music videos. Weezer's self-titled debut studio album, often referred to as The Blue Album, was released in May 1994 through DGC Records. 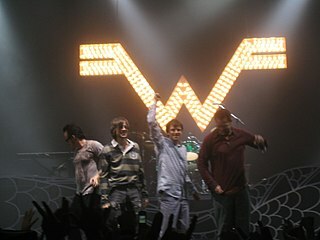 The album was a huge commercial success, peaking at number 16 on the US Billboard 200 and spawning the singles "Undone – The Sweater Song" and "Buddy Holly", both of which were responsible for launching Weezer into mainstream success with the aid of music videos directed by Spike Jonze. It has sold 3.3 million copies in the United States and has been certified triple platinum by the Recording Industry Association of America (RIAA), becoming the band's best selling album to date. Following the success of their debut album, Weezer took a break from touring for the Christmas holidays. Lead singer Rivers Cuomo began piecing together demo material for Weezer's second studio album. Cuomo's original concept for the album was a space-themed rock opera, Songs from the Black Hole. Ultimately, the Songs from the Black Hole album concept was dropped; the band, however, continued to utilize songs from these sessions into work for their second studio album. Pinkerton was released as the band's second studio album in September 1996. 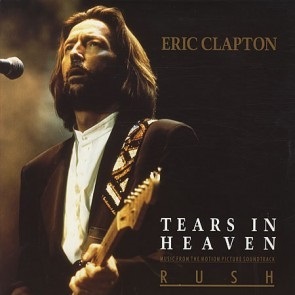 Peaking at number 19 on the Billboard 200, it was considered a critical and commercial failure at the time of its release, selling far less than its triple platinum predecessor. However, in the years following its release, it has seen much critical and commercial championing. "What About Now" is the seventh and final single from American rock band Daughtry's self titled debut album. The song is a ballad, that was written by Ben Moody, David Hodges, and Josh Hartzler, who is married to Amy Lee. It is one of only two songs on the album not at least co-written by Chris Daughtry. The song was announced as the band's next single on their website. It was officially released in the U.S. on July 1, 2008. The Official New Zealand Music Chart is the weekly New Zealand top 40 singles and albums charts, issued weekly by Recorded Music NZ. The Music Chart also includes the top-20 New Zealand artist singles and albums and top 10 compilation albums. All charts are compiled from data of both physical and digital sales from music retailers in New Zealand. 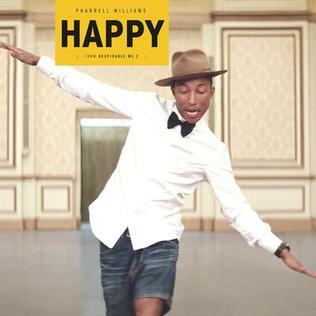 "Happy" is a song written, produced, and performed by American singer Pharrell Williams, from the Despicable Me 2 soundtrack album. It also served as the lead single from Williams' second studio album, Girl (2014). It was first released on November 21, 2013, alongside a long-form music video. The song was reissued on December 16, 2013, by Back Lot Music under exclusive license to Columbia Records, a division of Sony Music. 1 2 3 Whitburn, Joel (2003). Top Pop Singles 1955-2002 (1st ed.). Menomonee Falls, Wisconsin: Record Research Inc. p. xi-xiii. ISBN 0-89820-155-1.